Built to contract 12829. Suffering from corrosion of the underside and wings caused by salt spray whilst at Queens Island, Belfast, XL635 was not delivered until a protective covering was developed to seal the damaged skinning. She was retained at Belfast until January 1960, although spending some time at A & AEE Boscombe Down for pre-service trials. Finally delivered to Royal Air Force Transport Command No. 99 Squadron on 30 January 1960, she was named ‘Bellatrix’ and operated with the Britannia pool at RAF Lyneham from 22 December 1960. In January 1970 the two Britannia squadrons were transferred to RAF Brize Norton in Oxfordshire. She was withdrawn from service and ferried to RAF St Athan for storage and put up for sale on 09 June 1975. 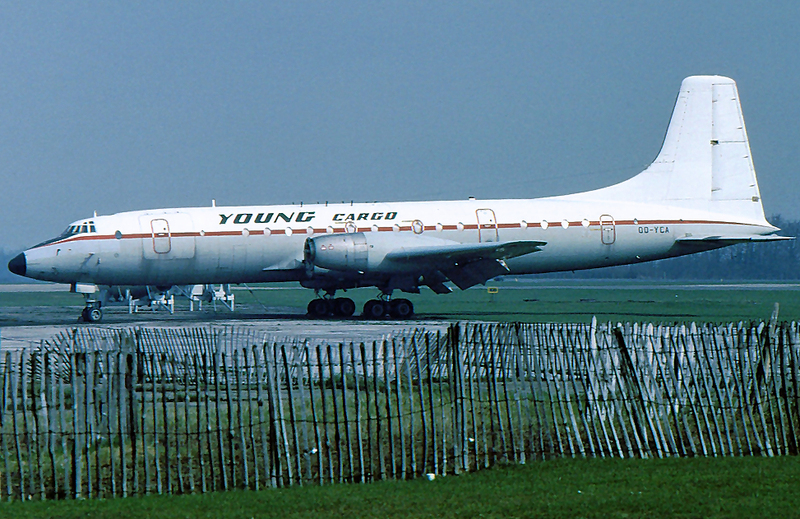 Purchased by Young Cargo on 05 September 1975, XL635 was flown to Stansted Airport and registered OO-YCA on 11th September 1975. She was painted in full livery and flown to Gosselies, Belgium in October 1975, returning to Stansted in 1977. 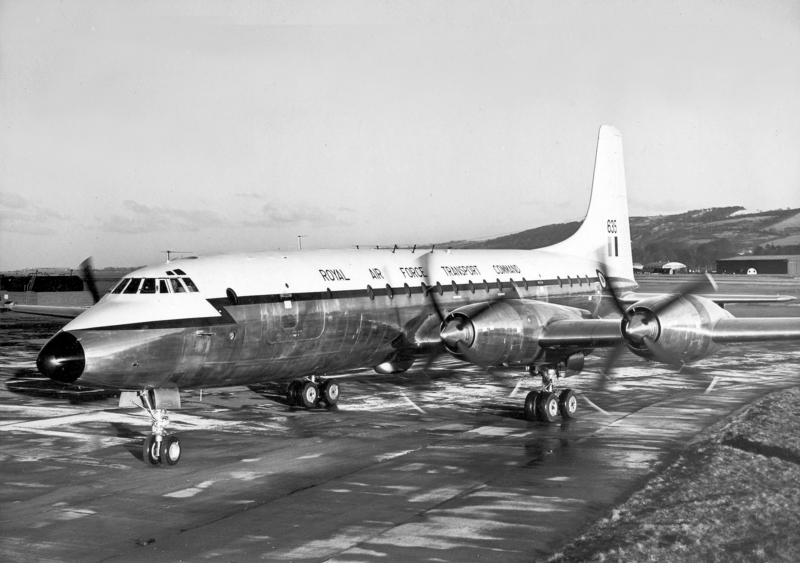 Withdrawn from use, her engines used for spares, 00-YCA was finally broken up and scrapped in July 1977 after a career of 20,268 flying hours and 6859 landings.